For the Concert request, Planning, Recording, Piano lesson, German lesson for musician, etc., please contact us from Inquiry or email. This year is the 35th year after I begin my own music office work. 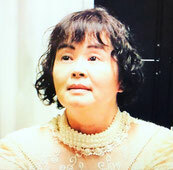 I want to be able to connect people from all over the world through the classical music and in the future, also to be responsible as a music goodwill ambassador. And to educate beloved classical pianists, i'd like to inform the Maria Satomi international piano school to everyone. We can give you lessons in English, German, Japanese and the others, so please contact us if you need any help about your piano lesson. And this time, the fan club "Maria Familie" started. I want to connect the people who loves classical piano through the Maria Satomi Fan Club. And in 2019, Yokohama International Music Festival will be started. Thank you very much for your continued support and encouragement also in the future.